A little while ago I made my second trip to Smithsonian Butte Road out in Utah. I was going to Zion National Park for the weekend, and Smithsonian Butte is a great free place to camp outside of the busy, crowded National Park. You can get some more information on the Utah Website for Smithsonian Butte Road along with directions. Or you can check out this Google Maps pin for directions to the start of the road. Before this particular trip, I stopped by Smithsonian Butte road once before but I got there after dark and there was no moon, so I missed some of the beautiful rocks. Instead of the beautiful rocks, I did see some amazing stars instead! Either way, I was glad to go back this time and get there during the day. 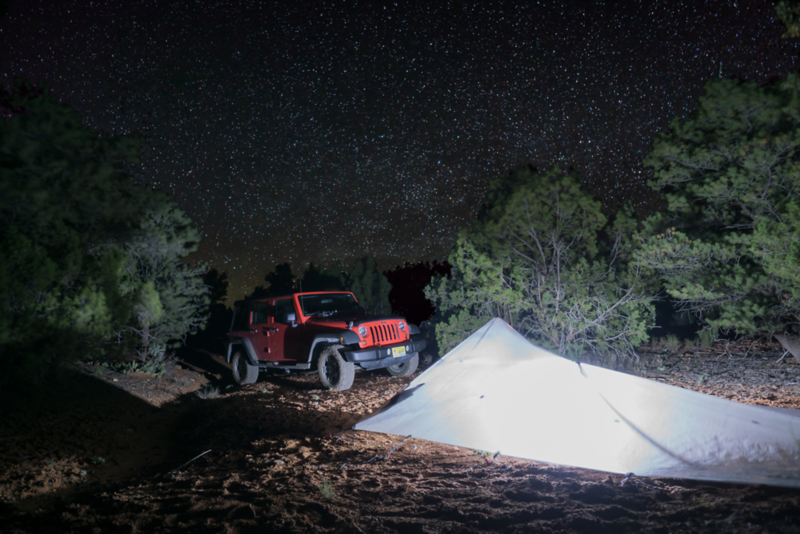 It allowed me to explore a little and actually pick a nice campsite. For this trip, I drove all the way down and found a nice spot located here . And did I mention we had views in all 360 degrees! If you plan on taking the trip to Smithsonian Butte, I recommend a four-wheel drive vehicle with decent clearance. The main road is steep and not too technical for off-roading standards, but I would not attempt this after a fresh rainstorm, especially because how steep the road is. 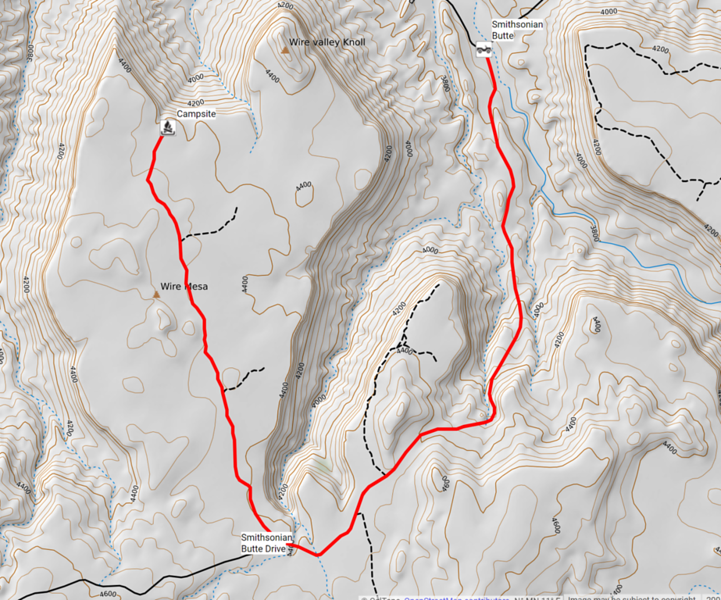 If you would like to see a detailed map that I created, you can see my custom made Smithsonian Butte Road map on Caltopo.